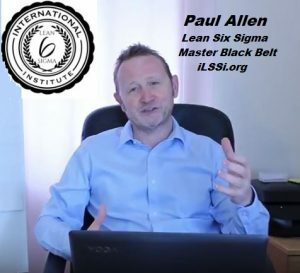 Paul Allen is a Six Sigma Master Blackbelt, is the founder of APL. He’s a highly experienced process improvement specialist, working through Lean and Six Sigma methodologies. He specialises in providing clients with the skills and knowledge they need to bring variable un-predictable processes under control. Paul has extensive experience delivering Six Sigma solutions in large multi-national organisations through to small, single site operations. He is based in South Wales and works all over the UK and Europe. To speak to Paul, please contact him.